From the previous blog, we got to know what heart palpitations are and what are its causes and the risks associated with it. The next step in the ladder would be how to reduce that risk so as to lead a healthier life. The experts at Capitol will be taking this step forward and guiding us on how we can naturally try and beat heart palpitations. Don’t worry, we are NOT telling you to stop eating all the delicious delicacies that you adore. Just a few substances which are not suitable for your health and not eating them can reduce your risk of palpitations. For instance, cut down on alcohol, drugs like cocaine, marijuana. Reduce your intake of caffeine. Stimulants like herbal medicines and certain cold and cough medicines can increase the risk of palpitations in some of us. Cold medicines that contain pseudoephedrine should be avoided. Risk factors for palpitations like heart disease, heart attack, blood pressure should be maintained in the defined norms and regularly consult a doctor if you have a history of heart disease. Smoking is injurious, everyone knows this but no one really adheres to it. The risk for heart palpitations is also affected by smoking. When you smoke less, you live more. This is the simplest logic of all times. Well, this one is a no-brainer, exercise is everywhere. For every disease, risk can be reduced a lot if a person exercises. Exercise plays a major role in keeping us fit and healthy. Exercise reduces the stress and anxiety which we feel from our daily monotonous routine. Stress can also be handled by using relaxation techniques like yoga, meditation, deep breathing or by doing something which calms you and helps you in rejuvenating. The health of our health is majorly dependent on Potassium, Calcium, Magnesium, and Sodium. These electrolytes help balance our heart and are most easily obtained from food. Calcium can be obtained from milk and other dairy products. Green Leafy vegetables are a good source of calcium and magnesium. Eat a lot of fresh fruits, vegetables. Maintain your weight in the BMI range and keep yourself relaxed and happy. All this can help in reducing your risk to heart palpitations but if you feel any of the symptoms, it’s always best to consult a doctor and act. We all know that plastic is slow to degrade, and being inexpensive and durable is used in high amount. But did we ever ponder on the fact, that along with the pollution it causes to the environment, it is detrimental to our health also. 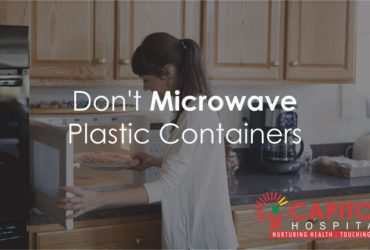 The experts at Capitol Hospital will shed some light on the on plastic and how it plays a part in increasing the risk of cancer. Acrylamide is a strange term and most of us don’t know the risk associated with cancer. Fret Not! The experts at Capitol Hospital, best healthcare in our region will shed some light on this topic so that we can become aware of it. The first question which comes to our mind is- What is acrylamide? 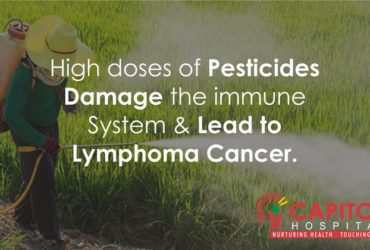 ARE PESTICIDES SLOWLY KILLING US? Am I more prone to stroke if I am obese?